My elder sis won a hair dye voucher worth $100 and she passed it to me for use since she doesn’t dye her hair. So I paid additional $51 to get my hair dyed! The results? I loved it! It’s actually been about 2 months, since I dyed it in early November. (I know, I am a huge procrastinator in blogging :P). It’s originally copper red colour but now it’s only copper. 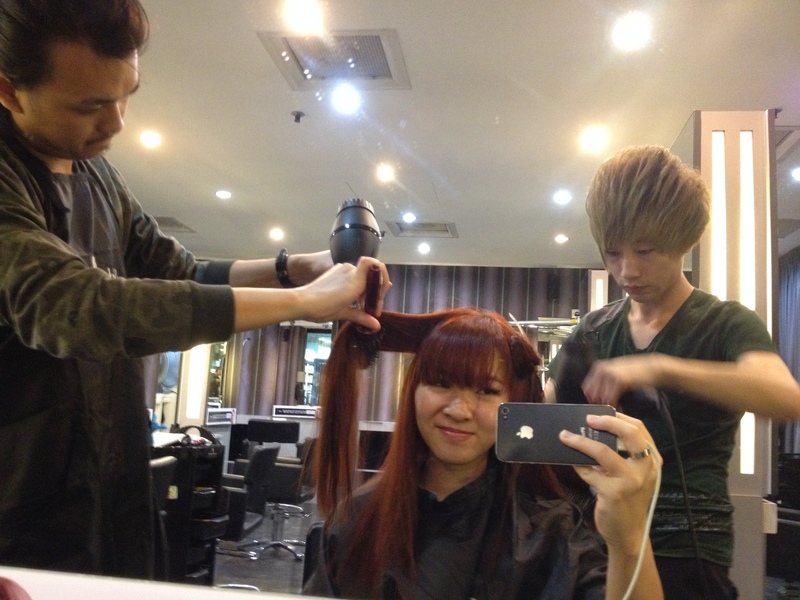 That’s the head stylist on the left, Kazu! I love how my newly dyed hair (then) made me look like an anime character, heh. All in all, I found the services very good and the prices reasonable! If you want to get your long hair (like mine) dyed, I totally recommend it.